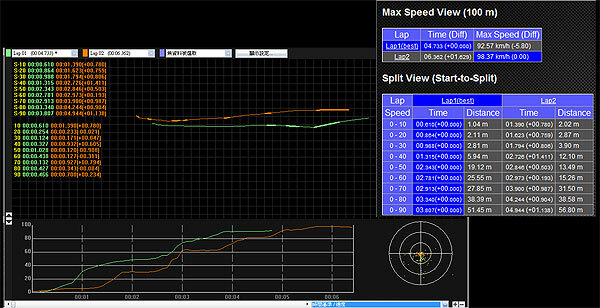 QRacing is specially-designed Lap Timing Analysis software for racing performance improvement. QRacing can support diversified racing types such as Circuit Racing, Drag Racing & Rally Racing, and then analyze each racing type’s best lap. 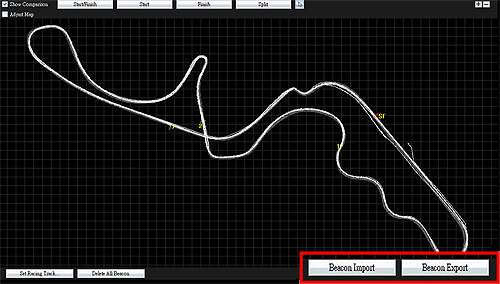 No need complicated settings and you can easily view your racing track in graph chart. Compare your racing tracks yourself, with friends or record-holder to improve records. QRacing will definitely be a simple-to-use but professional software for racing capable people. QRacing is smart track analysis software which supports global circuit track maps, and can auto detect corresponding circuit map with start/finish line after reading /importing new racing tracks. 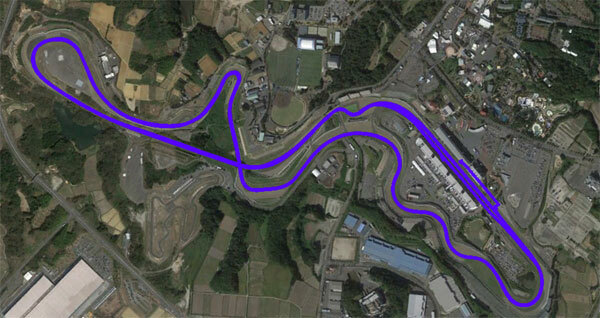 Then the new racing track can be immediately analyzed. It’s necessary to edit beacons before analyzing your race. You can edit beacons for your requirement anytime. QRacing is designed very flexible beacon settings for racers to make, edit, delete, import, or export beacons easily. 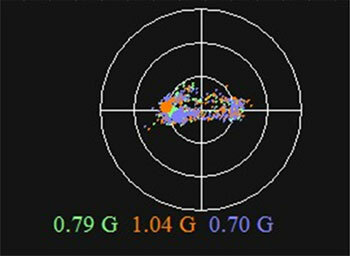 QRacing supports the most popular racing types such as Circuit, Drag & Rally and can make precise analysis with various data. Besides, it also provides “Best Theoretical Time” and ”Best Rolling Time” information for racers to improve personal best performance or as target to reach it. 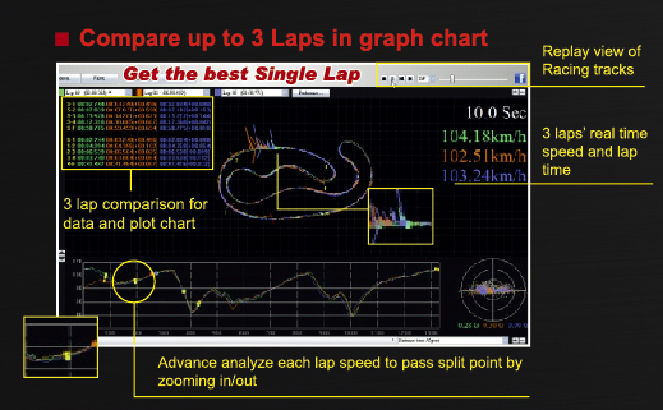 Just drive or ride with Qstarz GPS Lap Timer products to record racing data, then QRacing can simply analyze the best single lap and related analysis in diversified graph view. 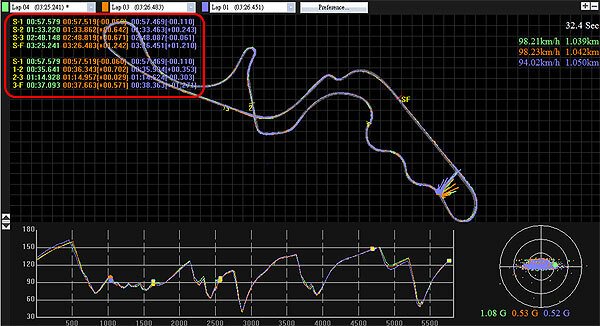 Compare and replay up to 3 laps data simultaneously with G-value and acceleration/deceleration information. 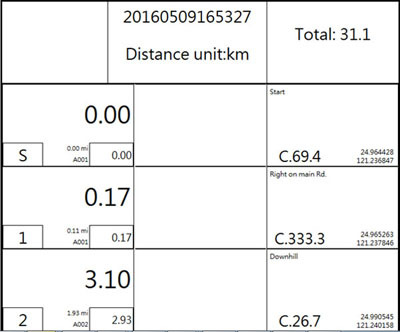 For the device LT-6000S’s Rally function, QRacing support Roadbook editing and is capable of printing the Roadbook. QRacing supports to compare your track with your own races, your friends or best record-holder under the same race field. Besides, you can also ignore lap per your requirement such as warm up lap. QRacing can synchronize the racing video with the track data and support up to 9 videos at the same track. Replay it with track to enjoy your racing. 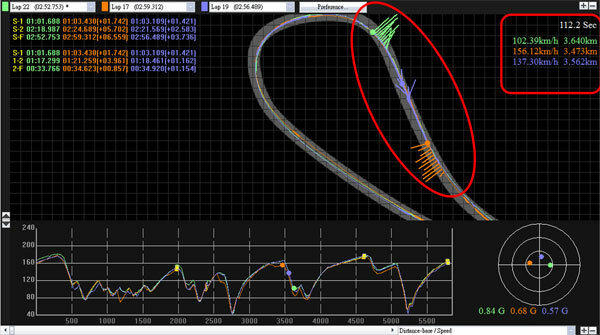 QRacing is database-structured lap timing analysis software to provide diversified track analysis. You also can import or export tracks for further purpose. 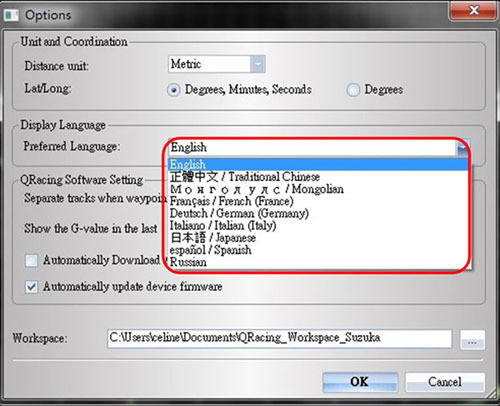 And QRacing was designed multi-language interface for users to operate it conveniently. Auto checking and updating latest version of software and track map to provide the best user experience. QRacing is integrated circuit track maps around the world, without extra fees or paid subscriptions. You will be able to update track maps whenever they become available. 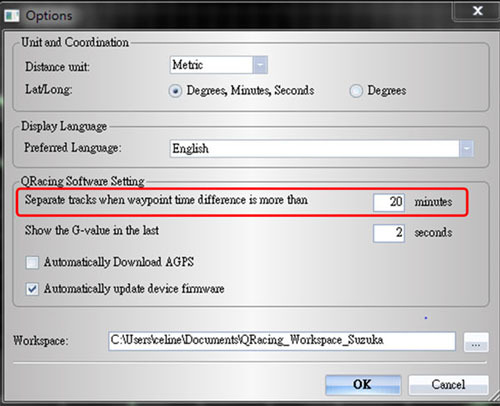 After race or training day, connect Qstarz Lap Timer device and start QRacing by clicking Read log. QRacing will read your new race log, and auto detects the corresponding track map with start/finish beacon. Make the further track analysis promptly and easily. *If there is no track map found, export RCN file and email Qstarz (info@qstarz.com) to request track map support. 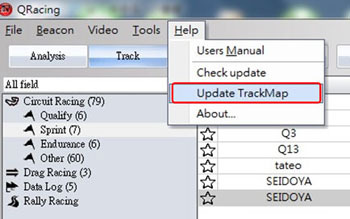 Built-in track map is named, or when importing the new track and no track map found, you can edit the field name for distinguishing the track. Bothering to look for specific track file from hundreds of tracks? 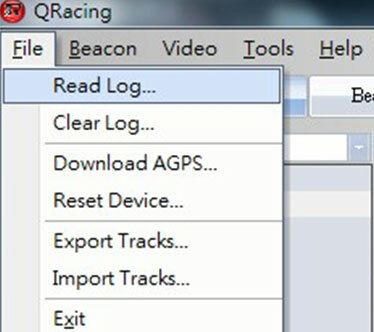 QRacing supports to group track files for the same race field. Just go to left side field option window, and select the field name you are going to search. Then all tracks for the same field will be listed, and select the track you are going to view or analyze. 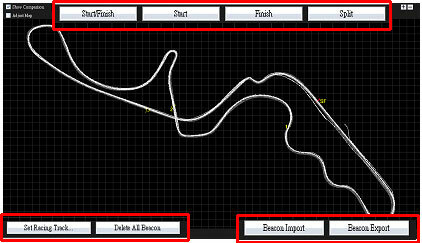 If QRacing does not auto detect the corresponding race track, you can add beacons manually before doing track analysis. QRacing supports 4 different beacon types – Start/Finish, Start, Finish, & Spilt. 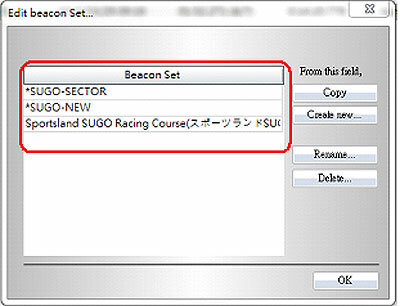 QRacing can manage multiple Beacon Sets under the same Track Map and able to analyze your race by different beacon set. Enjoy the flexibility! QRacing supports to import beacons with BCN files. And also supports export beacons for sharing to friends, or export to Q6000/6000S device for your next race. 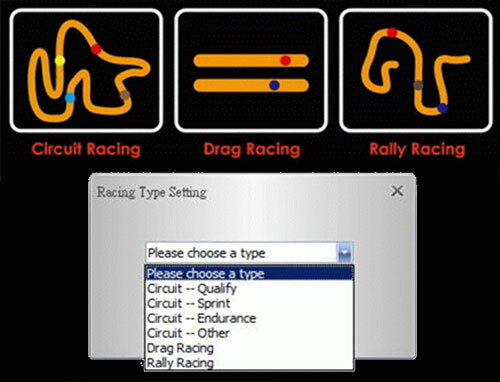 QRacing supports the most popular racing courses such as Circuit, Drag & Rally Race. 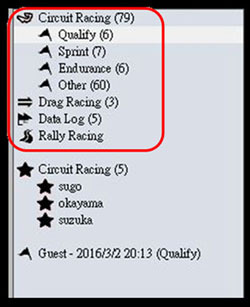 Circuit racing is classified into 4 categories (Qualify, Sprint, Endurance, and Others) according to racing rules. Four tables analysis categorized by Avg./Max./Min. 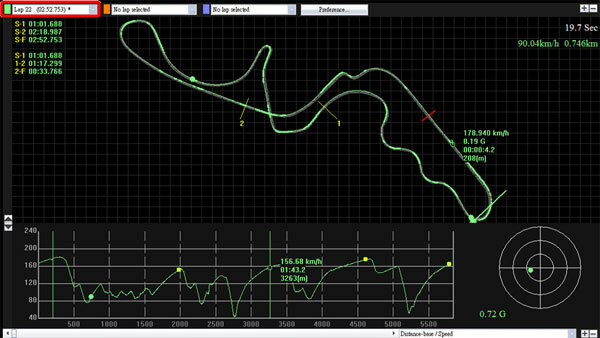 Speed View, Sector View (Split-to-Split), Split View(Start-to-Split), and Point Current Speed View to show the single lap and best lap’s detailed information. QRacing provides “Best Theoretical Time” and “Best Rolling Time” information, so racers can study and try to improve their performance. Give tags on the track or on the graph line with three different colors to mark the position for defining accelerate points or deceleration points. 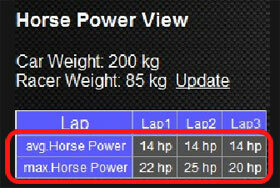 QRacing is able to estimate the average/max horse power of your vehicle by Drag race’s 1/4 mile or 0-400m run. 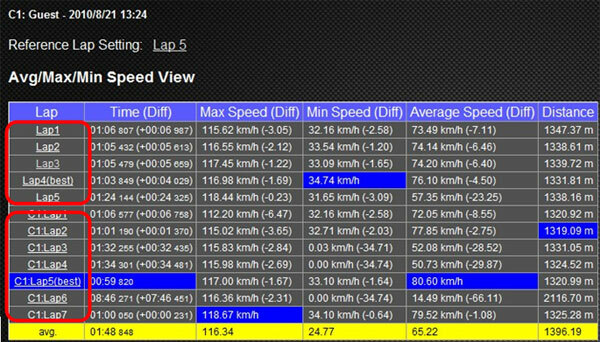 Just drive or ride with Qstarz GPS Lap Timer devices to record racing data, then QRacing can simply analyze the best single lap and related analysis in graph view easily. 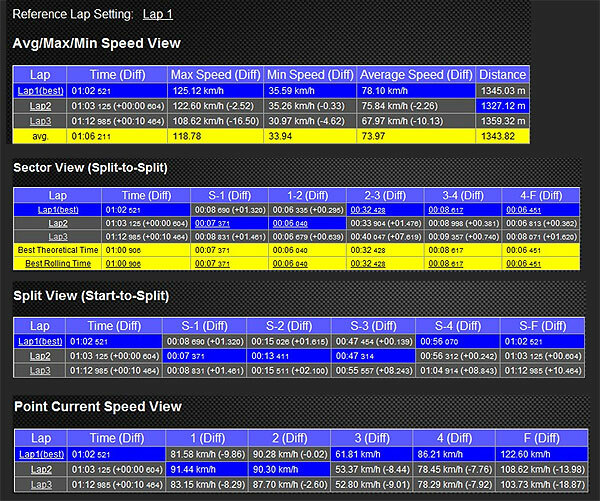 You can select up to 3 Laps to show and compare the data in different color. And also compare the laps by chart view with distance-base or time-base. Just simply select your Drag type such as 0-400m or 0-100kph when importing new track, and QRacing will auto calculate the Drag Racing result. You can select to divide the lap into four or ten segments and the duration of each segment will show in detail. 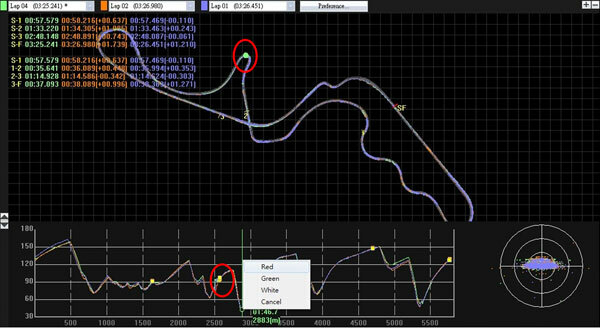 Give tags on the track or on the chart view with three different colors to mark the position for defining accelerate points or deceleration points. 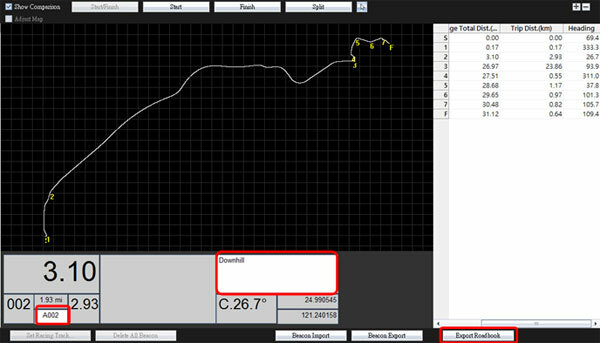 QRacing supports to show G-Force status while track replaying, and show G-value distribution of selected tracks. QRacing supports to rotate heading of the track with 360 degrees. also G-value on the track for reference. And track replay can be started either from start line or specified split for precise analysis. 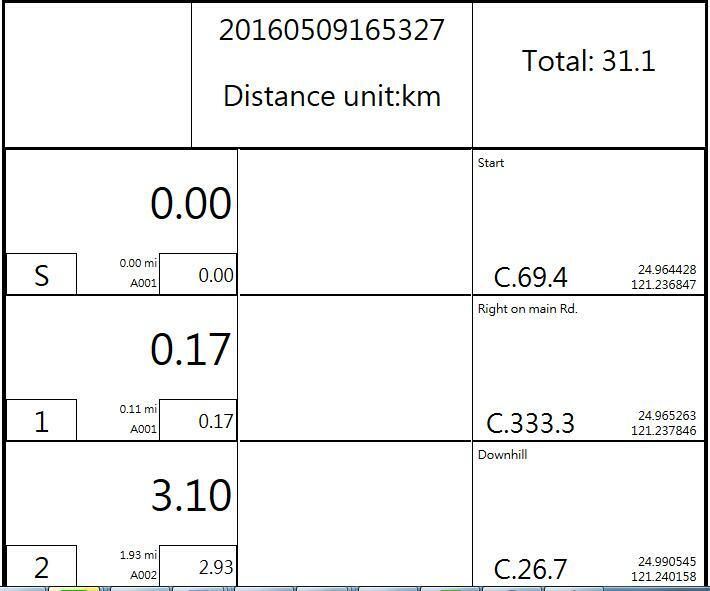 For Rally race, you can add waypoint details (name and note) and print it out to create a Roadbook for upcoming Rally events. 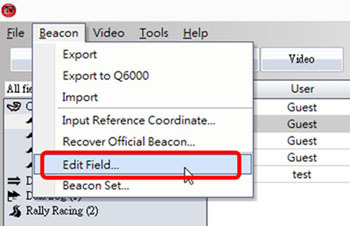 Select one of Rally track on QRacing, and edit each beacon loaded from LT-6000S. Note the importance info for each beacon and also capable of adding/deleting beacons if necessary on QRacing. After finish editing of the Rally Roadbook, click on Export Roadbooks and save as HTML file, you can use browser print function to print the Roadbook. Co-pilot can take this Roadbook to guide Rally driver. 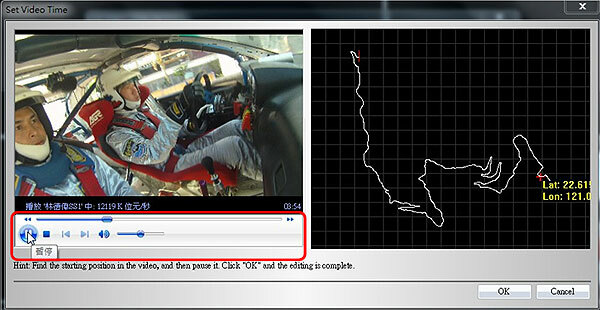 QRacing can synchronize the racing video with the track, which can support up to 9 videos at the same track. QRacing provide simple tool to easily find out the video starting time with the track. 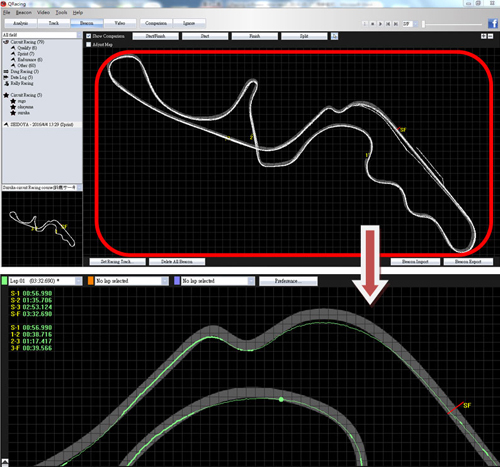 QRacing can compare tracks which are the same racing type (Circuit, Drag or Rally racing) and same field. Either you can compare with your own races, your friends or best record-holder under the same race field. Usually racers will make sighting lap before the race. QRacing supports to ignore specified laps such as warm up lap. QRacing is database-structured software to easily manage each track and support 8 different languages user interface. 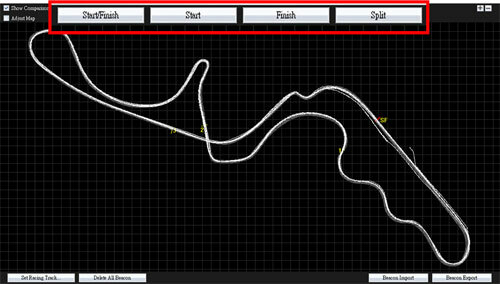 You can conveniently search track either by race field or racing type (Circuit racing, Drag racing, or Rally). 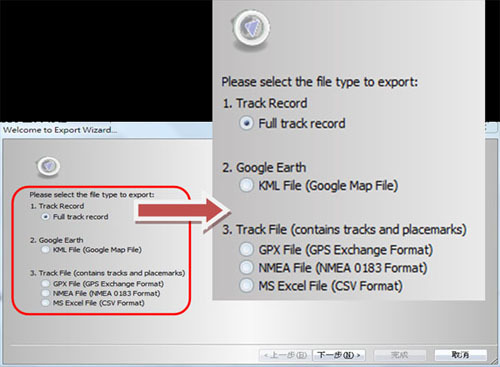 You can share your best tracks record to your friends or backup the tracks by exporting to RCN file (QRacing supported file) or other file format (KML, GPX, NMEA, and CSV). And also you can import track with RCN file format to QRacing. 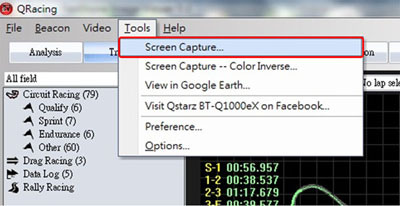 QRacing supports Screen Capture function to capture pictures for the working area of QRacing. Color Inverse for screen capture is also an option. You might race several sessions in a day. QRacing can change the waypoint time difference in advance to separate track for different session. You can be able to view and display tracks with Google Earth as well.